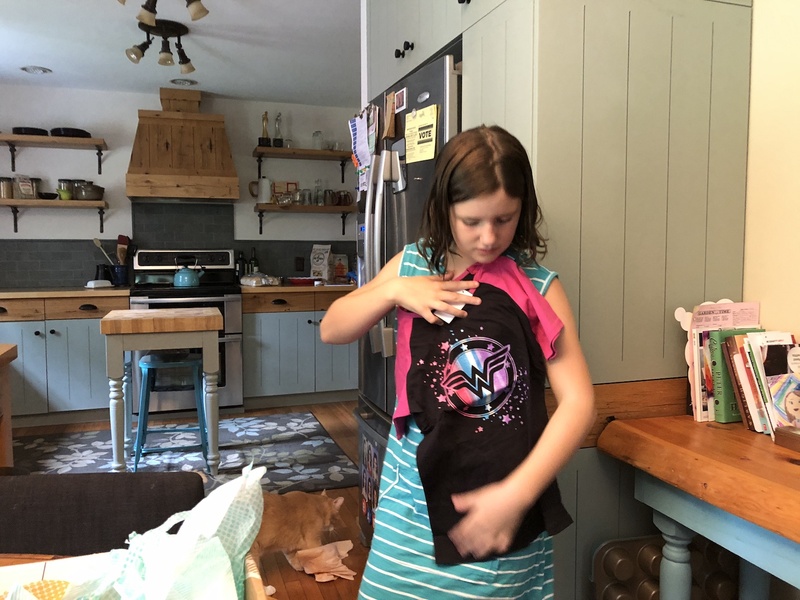 A few weeks ago I got an email asking if I’d like to let the girls try out a clothing curation box called Kidbox. 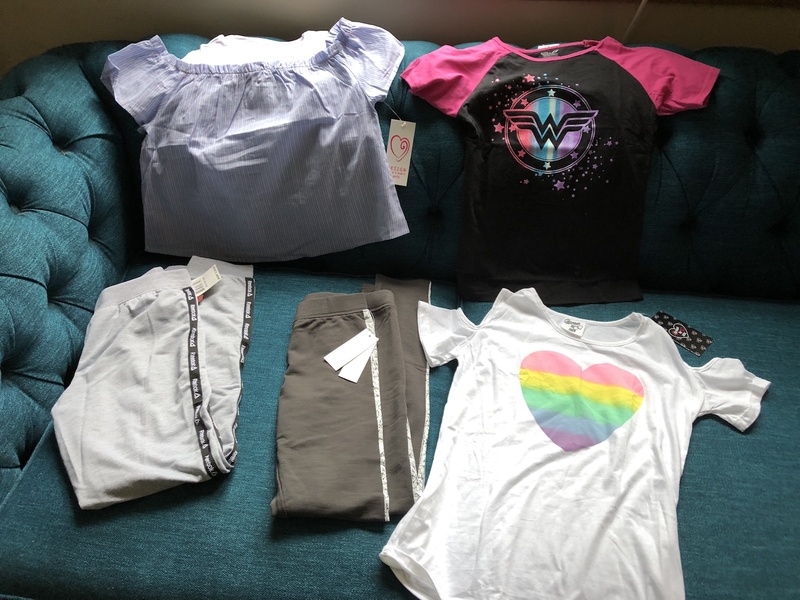 It piqued my curiosity because we have definitely entered the era of it not being safe for me to pick out clothes for the girls. They have growing opinions on color, shape, fit, and style. Once I got over the sting of not understanding their taste, I realized it’s wonderful. It’s a new way to get to know them. I wrote back to the woman and said that we’d love to do it. 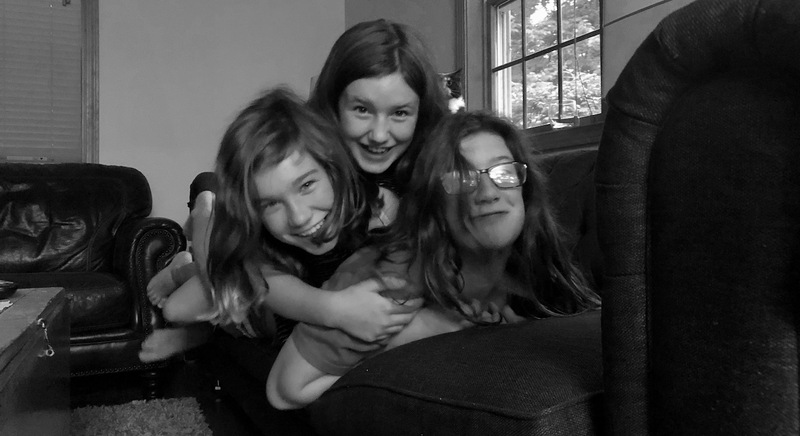 I did so knowing that Briar, Avery, and Finley are on the edge of their sizing. They have watched me enjoy my experiences with Stitch Fix and Trunk Club. “So this would be for us?” they asked. “Would we share?” Finley asked. She squealed. I opened my email and found the link to the style profile survey. To say that the girls loved filling it out would be an understatement. “What makes Finley so special?” Finley read aloud. There was a grid of 9 options. The cool thing is if you don’t have a reader most of the survey can still be done by the child based on images and color. Finley picked 8 things. 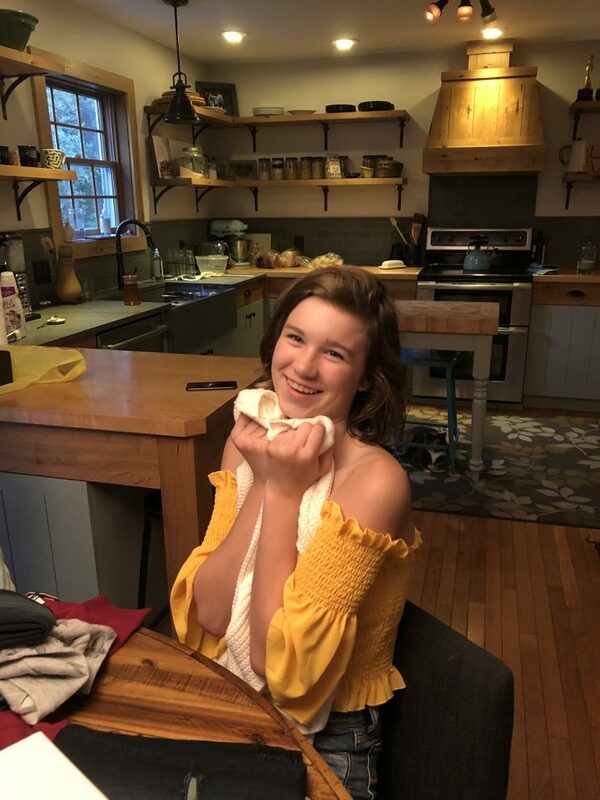 “So many things make me special, some that aren’t even on here!” I was beaming, the experience was all about personal preference, positivity, and autonomy. Because it was summer the time between doing the survey and receiving the boxes (maybe 5 days) was long enough for the mail to be a complete surprise. 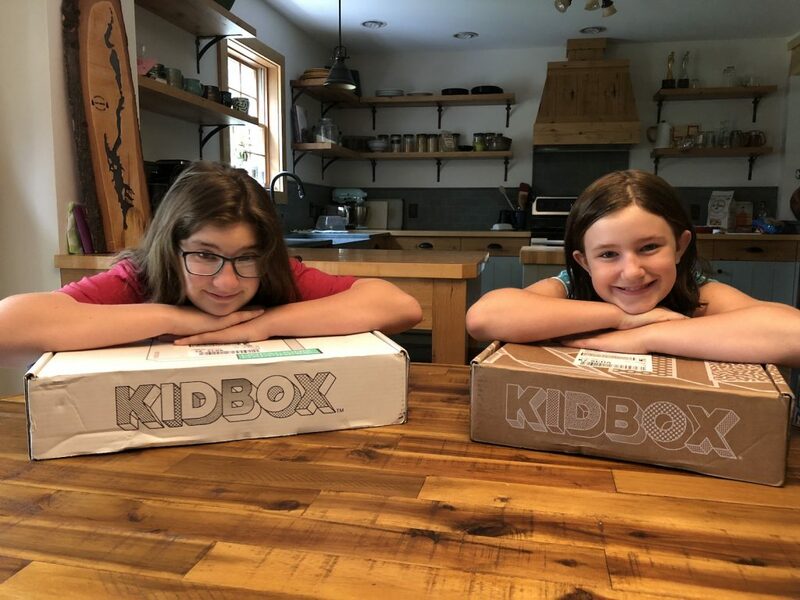 Finley and Avery get ready to open their Kidbox shipments. It is worth noting that the boxes are really cool, with space inside to color and a size that is perfect for say storing LEGOs, creating Barbie apartments, or stowing craft supplies. Finley and Avery strike poses in their favorites from the box. I smile with chagrin at the containers of mayonnaise that I didn’t think to move for the photo. Looking through the clothes was a great opportunity for talking about want vs need. “Ok, so if the one here works we can donate the old one,” I said. The contents of one box, which perfectly walked the line of the girls’ feedback. 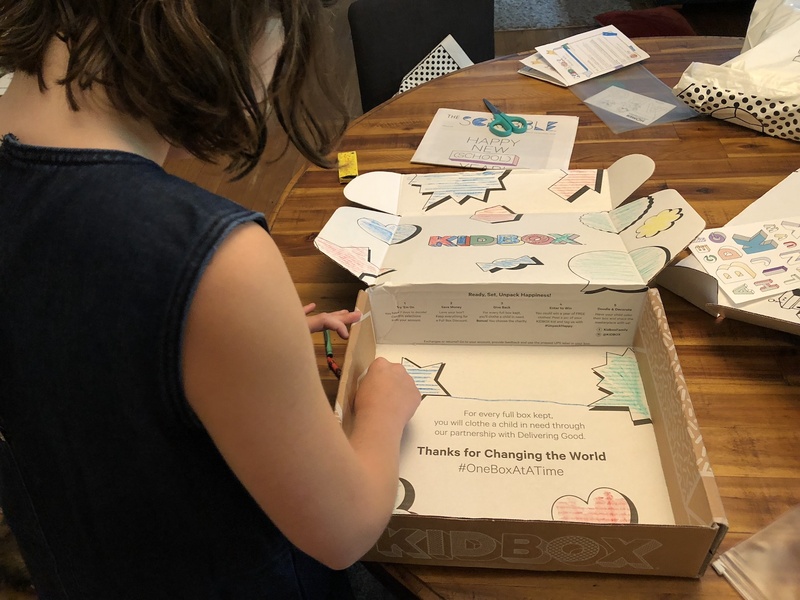 I was happy to have Kidbox send the boxes to us to review. We weren’t compensated monetarily, but boy was the process a great way to reflect on how we shop, save, keep, and learng to let go. Based on the sizing limitations we won’t be doing many more boxes, but for those of you a few years behind us, I say give it a whirl. Also, don’t be afraid to talk to your kids about clothes, fashion, and the emotions wraped up in both. 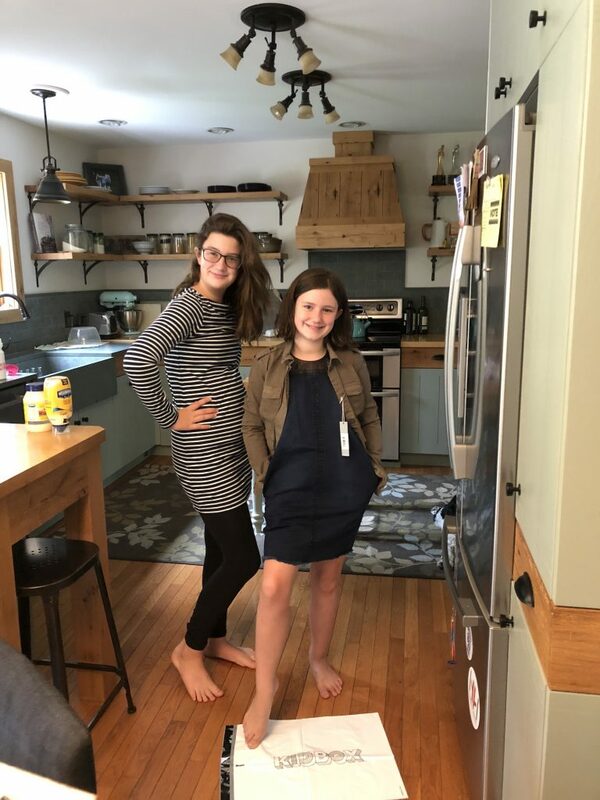 I have years of unlearning self-defeating choices with clothing, but I rarely think about breaking that cycle for the girls. Clothes shouldn’t weigh us down.